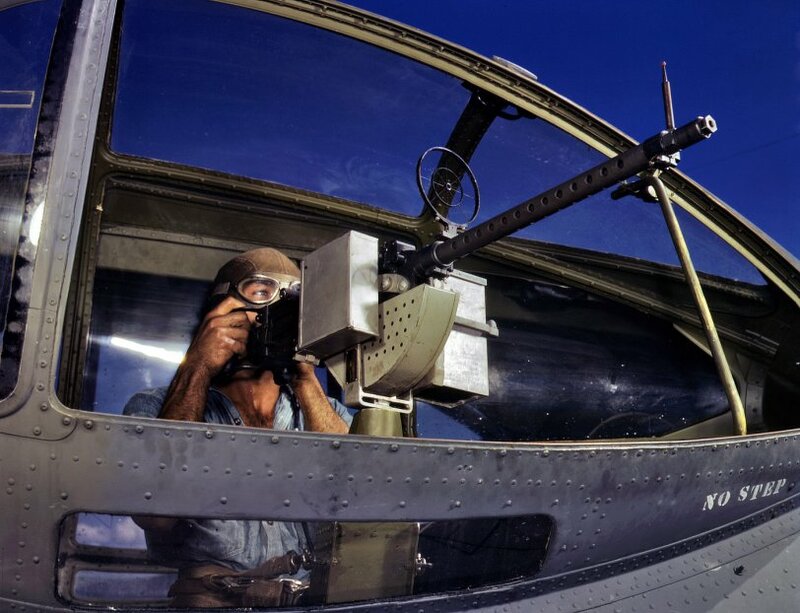 Another shot of AOM Jesse Rhodes Waller and machine gun in a PBY Catalina at Corpus Christi Naval Air Base in August 1942. View full size. 4x5 Kodachrome transparency by Howard Hollem for the Office of War Information.